Leaf beetle (Galeruca tanaceti) on a leaf. 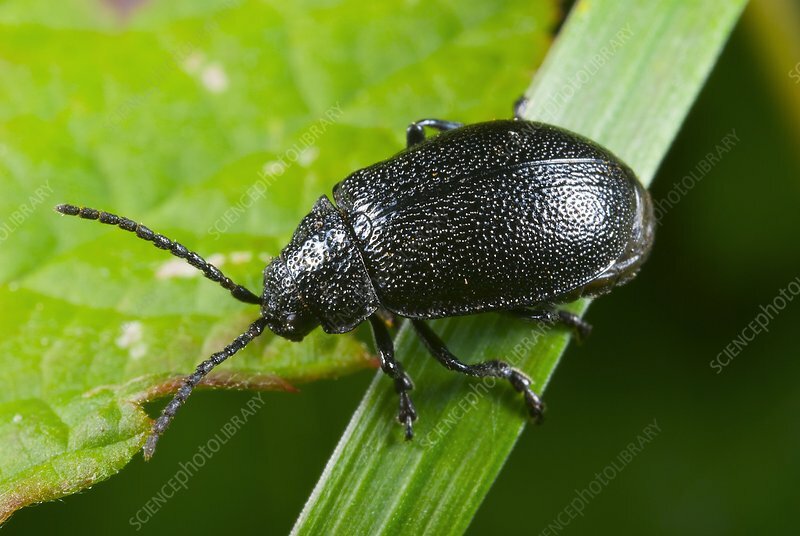 This beetle has been reported as a pest of oregano (Origanum vulgare) crops. Photographed in Wroclaw, Poland.